If you’re a Star Wars fan (and who isn’t, right? ), you’re sure to have seen Daisy Ridley as Rey. The English actress is and always was a force to be reckoned with, whether she’s on the film set or at the gym. Daisy has always claimed that working out helps her prep for everyday life, as well as what she does on the set. It’s also her personal time that helps her de-stress and relax. While it’s tough for the actress to find time to work out, she squeezes in exercise as much as possible, even when she’s on the set. Ridley was relatively unknown before she got the part of Rey in Star Wars: The Force Awakens. 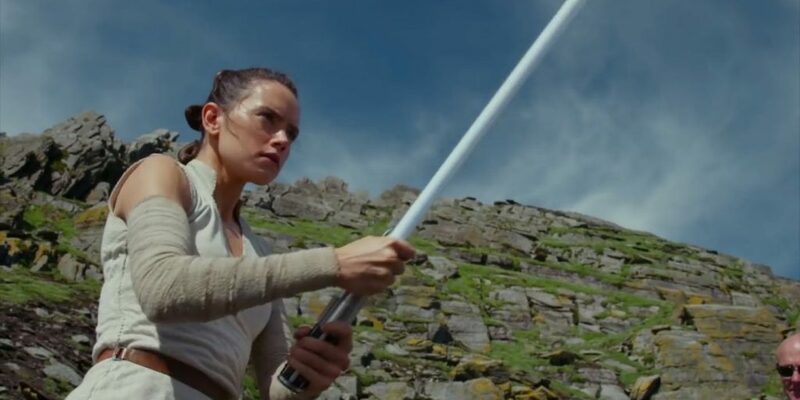 While only 25 years old, she revealed early on that after Star Wars: Episode IX, she planned to stop filming, though her workout routine hasn’t changed much. Daisy prefers to train five days each week and usually works out five hours each day. While it’s grueling, it fits her needs because she has a physically demanding job when she’s on set. Of course, she also has daily stunt practice, which takes more effort. While such a strict routine was necessary before filming to get her in shape and help her get the part, Ridley says that exercise is her solace. It helps keep her life structured when everything seems out of control. While she does work out a lot, she mixes up the routines and doesn’t overtax her body. She enjoys kickboxing, weightlifting, rock climbing, and many other fun activities that aren’t necessarily considered workouts. However, she does include lunges, squats, bicep curls, and can deadlift about 176 pounds. She rarely does pushups because the move causes stress to her wrist; she knows not to overdo it and knows what her body can and cannot do, so she plays to her strengths. She also focuses on refocusing and recharging, so she takes one or two rest days each week. While many actresses and actors prefer to focus on one aspect of the body (such as bulging shoulder muscles or six-pack abs), Ridley enjoys a lot of different movements and doesn’t limit herself to just one thing. She doesn’t focus primarily on strength or flexibility but prefers a little of everything. While you probably aren’t going to take up sword fighting, she did use such training from Prince Oberyn as part of her preparation for the role! Her warm up includes pushups, pull-ups, jogging, and air squats. Deadlifts – With a barbell and appropriate weight on each end, stand with the feet hip-distance apart. Keeping the back flat, lean over and slightly bend the knees until you can grip the bar with hands just outside the hips, keeping the shoulders in front of the bar. Rise up slowly and with control with your shoulders and hips rising at the same rate until you’re standing up straight and lower the barbell back to the ground, just grazing the ground. Complete five sets at 10, 8, 5, 5, and 3 reps each, adding more weight each time if possible. Weighted Lunges – With appropriate-weight dumbbells, stand with feet shoulder-width apart. Step forward with one leg, bending both knees at 90-degrees. Do not let the knee go past the big toe. The back knee can touch the floor if you have such flexibility. Push yourself back to the starting position and do the same with the other foot forward (counts as one rep). Complete three sets of 10 reps each. Circuit – Ridley prefers to do a circuit, which includes plank holds, jump squats, mountain climbers, and sit-ups, as well. Her warmup consists of biking five miles, dips, pull-ups, and pushups. Military Presses – Stand behind a loaded barbell. Using an overhand grip, grab the barbell with hands about shoulder-width apart. Clean the bar (bring it up to shoulder height as close to the body as you can). Elbows should be pointed downward. Press the barbell overhead, moving your head slightly backward as you do so to avoid hitting the nose. Slowly lower your barbell back to the starting position. Repeat five sets with 10, 8, 5, 5, and 3 reps each, adding weight as appropriate. Bent–Over Dumbbell Rows – With the left hand and knee on the bench for support and the right leg stretched out for balance, bend over and keep your back straight while grabbing your dumbbell, ensuring that your spine and neck are in alignment. With the palm facing inward, raise the arm toward the armpit, bending the elbow straight behind you, not out to the side. Do this with control. Lower the dumbbell back to the starting position with a fluid movement. Throughout the exercise, try to keep your shoulders back and pressed down. Complete three sets of 10 repetitions each. Circuit – Ridley also does four rounds of a circuit at the end with box jumps, burpees, jogging, and the clean-and-press move. You can also add thrusters and jump-rope, depending on your fitness level and how much time you have that day. While the movie didn’t show much of what Rey ate or when Daisy is a self-claimed cheating vegan. She prefers not to eat meat whenever possible, as well as eggs and dairy. However, she does add fish to her meals and also enjoys spirulina shakes and legumes, especially when filming. She has endometriosis and acne issues, so she usually stays away from dairy products and sugary foods. Sugar and dairy can cause acne issues to flare up more frequently. It’s essential that whatever workout you choose, you talk to your doctor about any concerns. You also have to focus on what you eat and how you fuel your body. Both diet and exercise, as well as consistency, can help you reach your fitness goals whether you want to lose weight or get more fit. After all that training, you may decide to pick up a lightsaber yourself!